A commercial property in the heart of Malvern East is expected to attract interest in excess of $9.25 million. Colliers International’s Peter Bremner and Ben Baines, in conjunction with Robert Kelly and Sandro Peluso of GormanKelly, have been appointed to sell 1911 Malvern Road in Malvern East by auction on July 23 at 12noon on-site. The 2,315sqm, three-level office building, with 87 on-site car parking spaces, is situated on a 1,604sqm site and is currently fully leased. It returns a net income of approximately $717,091 per annum. Mr Bremner said the property would appeal to a broad range of buyers. 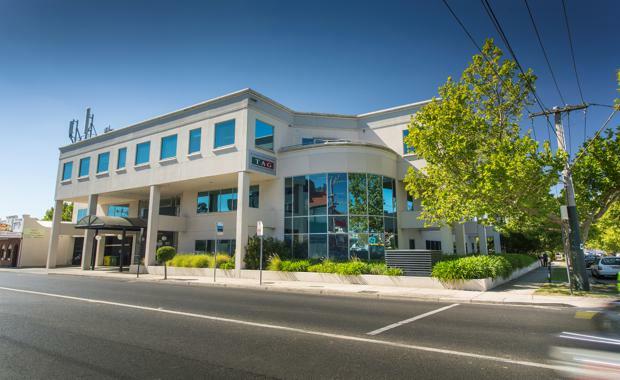 "Investors will be attracted to the fully leased nature of the building and blue chip Malvern location, whilst developers would benefit from the Commercial 1 zoning which allows future residential use (STCA),” he said. “There is a substantial apartment project under construction on the opposite corner, which sets the scene for development in the immediate area. "Owner-occupiers will see the potential to buy the property now, with potential to move into the building as leases expire. The building is close to shops and cafes, Darling train station and is within close proximity to the Monash Freeway.